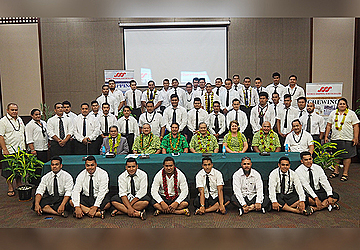 Fifty-nine seafarers from Samoa have secured jobs on the M.S.C. Cruise and Cargo ships. A special ceremony was held yesterday at T.A.T.T.E. Building to bid the men farewell before they sail away to greener pastures. 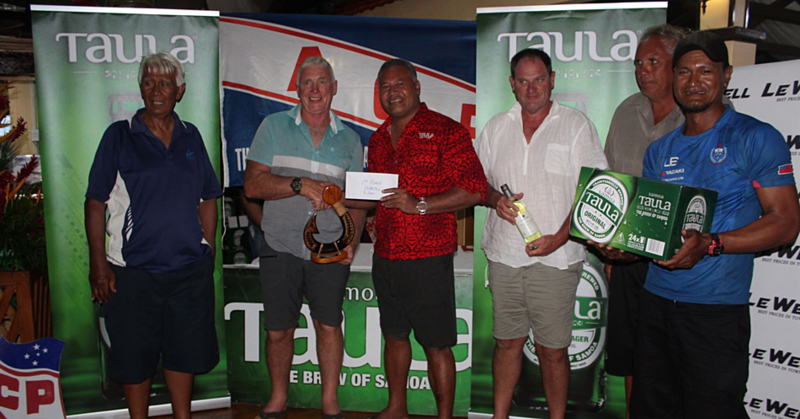 Minister of Works, Transport and Infrastructure, Papali’i Niko Lee Hang, blessed the seafarers and wished them well. Papali’i warned them to keep away from alcohol. He said alcohol is one of the many reasons many young seafarers were sent back home. “You have to remember your parents and your village before any wrongdoing. Do not forget your families,” he said. 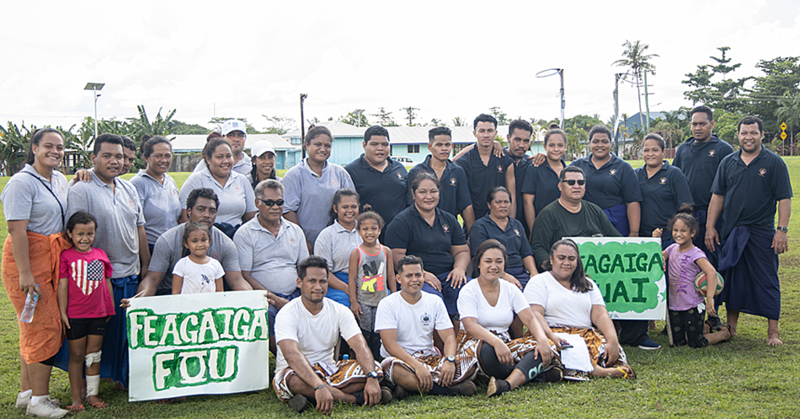 The youngest of the 59 seafarers is Ioane Lisale from Asaga, Savaii. He is grateful for the opportunity because it means he would better support his family financially. “I’m the eldest of my parent’s children,” he told the Samoa Observer. “My family rely mainly on the sea and land for living and that’s how my parents supported me financially all these years. “We are rich in love and support and because of my mom’s passion in weaving mats, I am now able to come this far. Ioane attended school in Savai’i. “I have nothing much when it comes to my parents. They are everything to me and my greatest helpers. “I am so happy that I’m now ready to go. I promised them that I would come back after the next nine months and build a house for us. 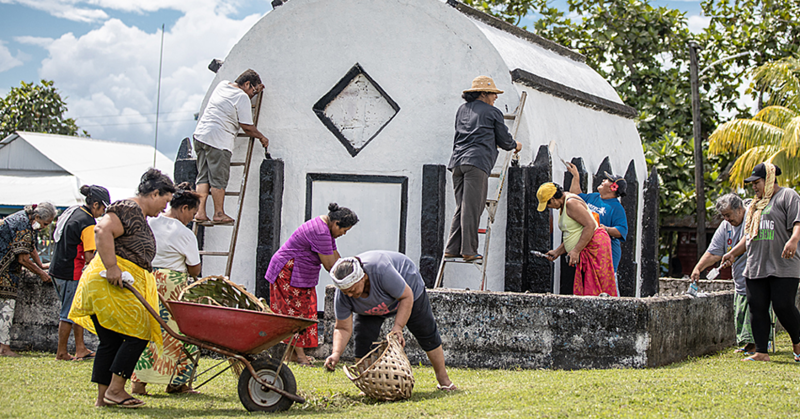 Ratu Afamasaga, Miliona Faasalafa, Malaefono Malaefono, Ropati Konelio, Kuatemane Vaovasa Tone, Lafo Togia, Afa Taufao, Tuuga Moe, Alafati Fa’anunu Naisali, Junior Matagi, Talolua Pouvalu, Talavou Viliamu, Patrick Senio, Aukusitino Fa’alua, Tanema Muliaga, William Keneti, Victor Toetu Ale, Lolani Fa’asaulala, Viliamu Laupati, Ioane Lisala, Fesilifai Maulalo, Salvation Liuliu, Viliamu Taiai, Atonio Malolo, Kennedy Samaeli, Pania Aurelio, Ierome Mose, Puavao Kohei, Fealofani Saunoaga, Juniour Lesoa, Samuelu Saufoi, Nauma Fiva, Faaua Afoa Gale, Senetenari Siaosi, Sooupu Hicks, Ron Amerika, Tim Lan Yen, Solomona Matagi, Uatea Muna, Rod Paniani, Uele Mupopo, Ele Auvele, Ulkime Mafutaga, Eijivice Une, Faauli Iese, Loligi Maugatai, Sega Solomua, Michael Scanlan, Ricky Peato Ale, Vaaotoaoletalalelei, Ronald Airbase, Iosefa Poalaga, Peniamina Sakaio, Evile Alipia, Bush Tipasa, Faatasimaalii Faaofo, Vaimoli Sasita, Vaelupetali Fuimaono and Falaula Leitupopese.